This set is a perfect gift for the golf enthusiast! 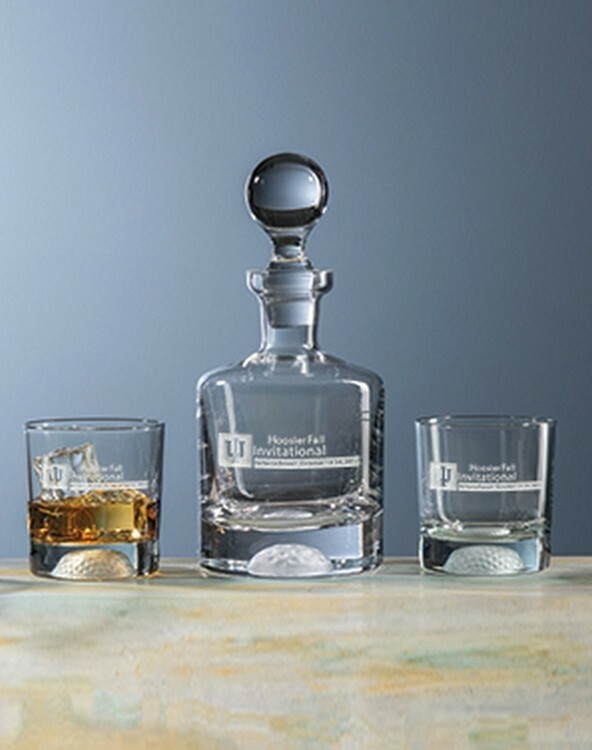 The Fairway™ Decanter Set features a handblown non-lead 32 Oz. crystal whiskey decanter with a handcrafted golf ball impression in the bottom, and 2 machine-made golf ball on-the-rocks glasses. Packaged in an attractive gift box.